Volkswagen boss Martin Winterkorn has finally confirmed the company will introduce plug-in hybrid models by 2013. As far as hybrid technology goes, Volkswagen has been a bit behind the mark, but now it’s time for catch-up. At the recent International Vienna Motor Symposium, Mr Winterkorn revealed the company’s future hybrid plans. He said there would be a “range of important models with plug-in hybrid technology starting in 2013/14″. Although definite models were not mentioned, reports suggest plug-in hybrids of the next-generation Mk7 Golf and, similarly, the new Audi A3 which will use the same platform, are likely candidates. 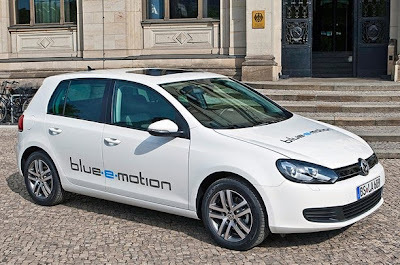 Both cars will be developed on Volkswagen’s upcoming MQB front-wheel drive platform. Mr Winterkorn said Volkswagen was very excited about the prospect of the plug-in hybrid, expressing that the technology combines the best of both worlds. Volkswagen is not interested in producing a full-electric version of its models however. It believes the large battery pack required for a plug-in provides ample electric vehicle efficiency, as electric-only ranges are within most city driving limits of around 32km anyway. At the same time, if long trips are needed the petrol motor can come in to provide long ranges, and the tank can also be refilled with ease, compared with an EV that takes several hours to recharge. Overall consumption of the plug-in Golf is expected to dip below the 2.5L/100km mark.